(b. 25 February 1973, Málaga). Spanish composer of orchestral and chamber works that have been performed in the Americas, Asia and Europe. 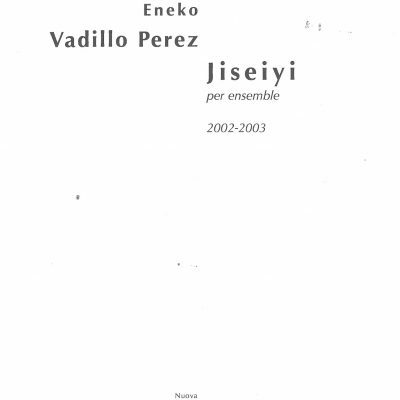 Mr. Vadillo received a degree in piano performance and music theory at the Conservatorio Superior de Música de Málaga and a composition degree with honours at the Real Conservatorio Superior de Música de Madrid, where he studied with Zulema de la Cruz, Antón García Abril and Luis de Pablo. He studied with Julian Anderson, Sir George Benjamin and Edwin Roxburgh at the Royal College of Music in London, where he earned his MMus, on a scholarship from the government of Andalusia and the Stanley Picker Award. He studied the history and sciences of music with José Peris Lacasa at the Universidad Autónoma de Madrid and there earned his PhD. Among his honours are the Premio Flora Prieto (2000) and Primer Premio in a competition for composers from Spain (2001, for Riviera). His music has been performed in France, Germany, Italy, Japan, the Netherlands, Spain, Sweden, the UK, and the USA.